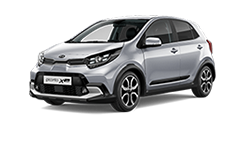 There's no better testament to Kia's outstanding quality than the experiences of drivers. So, when J.D. Power’s 2017 Initial Quality Study, made up of opinions of nearly 80,000 new-vehicle owners, ranks Kia #1 in overall initial quality, it’s something worth noticing. For the second year in a row, the prestigious study has put Kia at the top of the list for its exceptional initial quality. 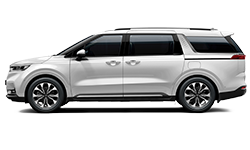 And with "Highest Ranked Large Car, Compact Car, Small SUV, Midsize SUV, and Compact Multi-Purpose Vehicle in Initial Quality," Kia received more model awards than any other nameplate. 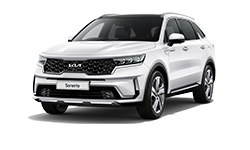 From the designers who pore over every detail, to the engineers who fine-tune the vehicles, to the factory workers who build the cars to the Kia dealers who help consumers discover the one that’s right for them, everyone at Kia is committed to making ownership a satisfying experience. We designed Kia vehicles to be fun to drive—and that starts with the engine. From Gasoline Direct Injection (GDI) engines that deliver more power and lower emissions, to fuel-saving hybrid technology, to turbocharged engines that offer impressive low-end torque, step into a Kia and you’re in for a surprise. 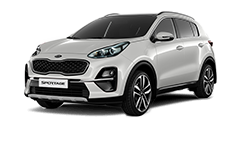 It’s the Gasoline Direct Injection engine that helps a Kia deliver outstanding performance—in both power and fuel use. GDI injects highly-pressurized fuel directly into the cylinders during the engine’s combustion cycle. The result is an increased quality of combustion and efficiency. By making smarter use of fuel, GDI also reduces emissions. What the driver experiences is still the most critical element of any powertrain technology. 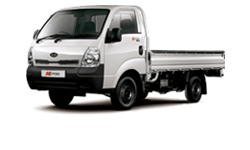 And with GDI, the driver enjoys smooth, powerful acceleration and a longer time between refueling. In the short space of five years, Kia is making a name for itself in the world of motorsports. 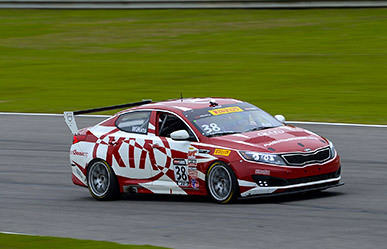 In 2011—after only one year of competition—Kia Racing landed its first-ever championships during the Continental Tire Sports Car Challenge season. 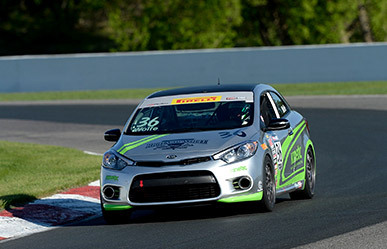 In 2015 the reigning Pirelli World Challenge (PWC) Touring Car A (TCA) Driver Champion, Jason Wolfe, piloting the No. 36 Richard Wolfe Trucking Kinetic Motorsports Kia Forte Koup, scored two race wins and a podium finish in the final three rounds of the season at Mazda raceway Laguna Seca (MRLS) in Monterey, California, to successfully defend his title. The production vehicle used? An Optima. While it’s easy to think of the Optima as the family sedan that’s perfect for zipping around town, the race-prepped version of the Optima unleashes the full potential of the vehicle’s aerodynamic style and driving dynamics. But it’s the state of the art technology under the hood that really helps the Optima deliver: the Gasoline Direct Injection (GDI) turbocharged engine used in the Optima SXs makes it perfect for zipping around racetracks and lapping competitors. In fact, as of 2014, Kia was one of only two race teams in the U.S. to use a GDI Turbo engine. With continued design innovations and more championship wins every year, Kia is clearly on the right path. Things happen. There are incidents on the road outside of anyone’s control. At Kia, we work tirelessly to ensure that every passive safety system on our vehicles is designed to help you handle the unexpected. And that every active safety system is designed to help you avoid trouble whenever possible. The automobile industry has taken notice, too. To learn more, visit our awards page. 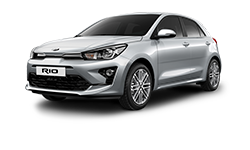 Kia has championed the use of Advanced High-Strength Steel, which offers greater strength and lighter weight than regular steel. We’re further enhancing structural integrity, starting with the roll out of Kia’s exclusive Iso-Structure™ body on newer models. It features patented construction techniques, industrial-strength adhesives, and more Advanced High-Strength Steel—in some cases, twice that of previous generation models. 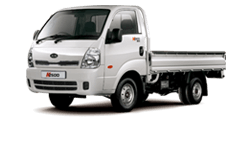 The result is a rigid, lightweight chassis that delivers exceptional protection, improved fuel economy, and a quieter, smoother ride. Every Kia comes standard with active safety systems to give you more precise handling behind the wheel. Electronic Stability Control (ESC), Vehicle Stability Management (VSM), and Hill-Start Assist Control (HAC) help keep you on course and in control, while Electronic Brake Force Distribution (EBD), and the Antilock Braking System (ABS) offer advanced braking technology for improved braking. COPYRIGHT(C) 2019 KIA MOTORS CORP. ALL RIGHTS RESERVED. DESIGNED AND BUILT BY FRESHIVE.